Ur…good lord! That’s a terrible nursery rhyme, but it is what popped up 1st on a search for “ladybug” on the ‘net. Man, those old-time parents were a grim lot! Anyway, we are being invaded. 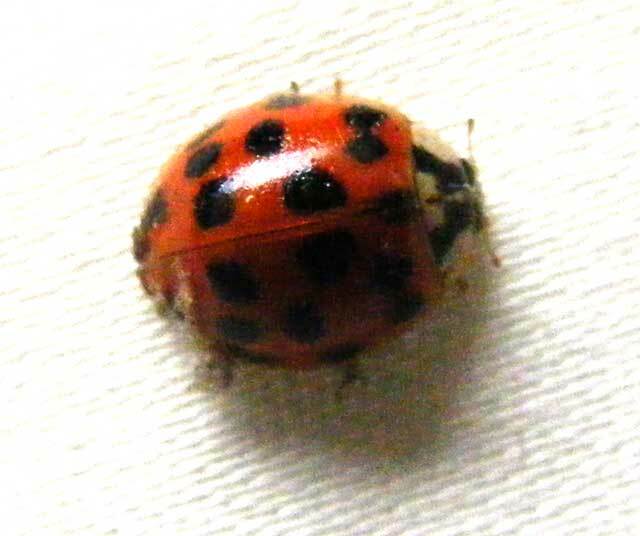 Daily, no matter the temperature, we are finding at least a half dozen Ladybugs hanging out on the north windows of the dining room, which is currently serving as our bedroom. We keep shooing them out of the house…and they are readily replaced either by the same ones (not likely) or a seemingly endless supply.